303 Kay Rd, Rototuna North, Hamilton, New Zealand. 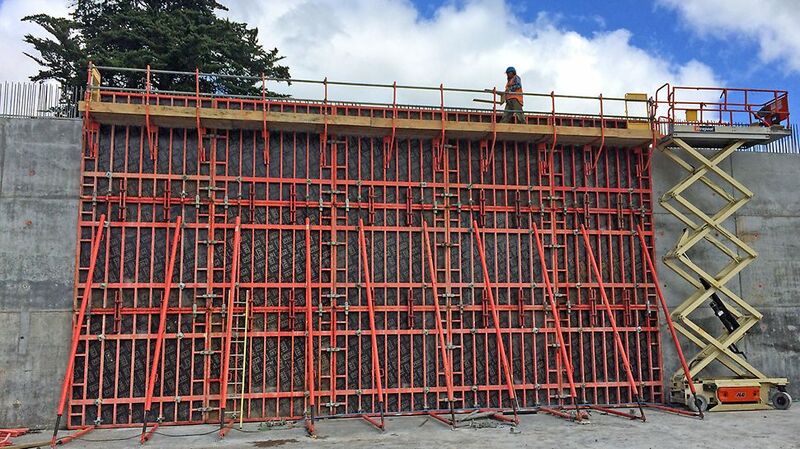 65m x 65 m potable water reservoir with 1 dividing wall. 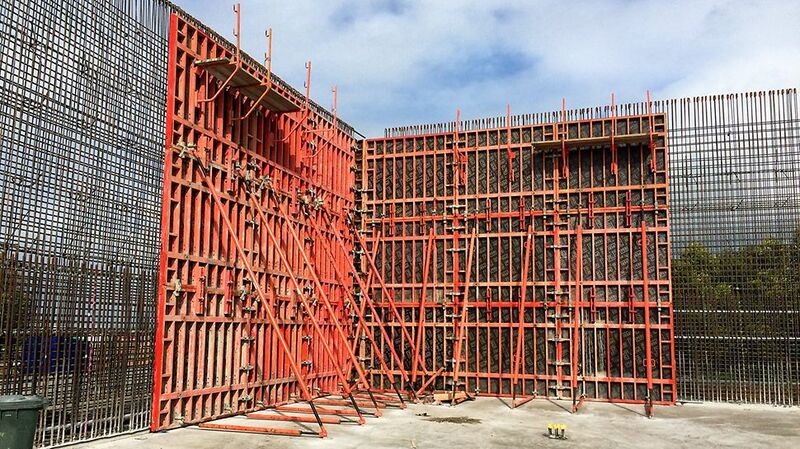 wall pours 6.8m high with tapered external walls. DK cones used internally on perimeter walls and both sides of dividing wall. Low shrinkage concrete to be poured. A large quantity of TRIO required on site. It has been a pleasure working with PERI on the Rototuna Reservoir Project. PERI ’s TRIO has formed insitu outside face sloping walls with a varied pour height from 6.7m to 7.2m. 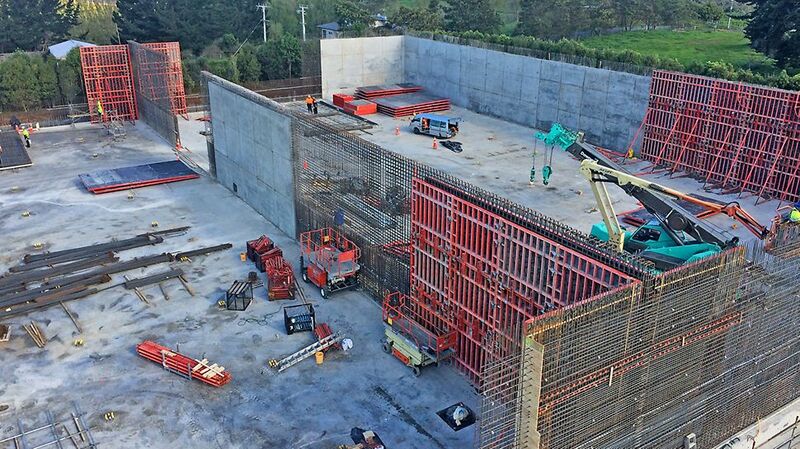 Concrete totalling over 1100m3 has been poured in the walls. Our team of carpenters have been surprised with the ease of installation compared to the other brands. 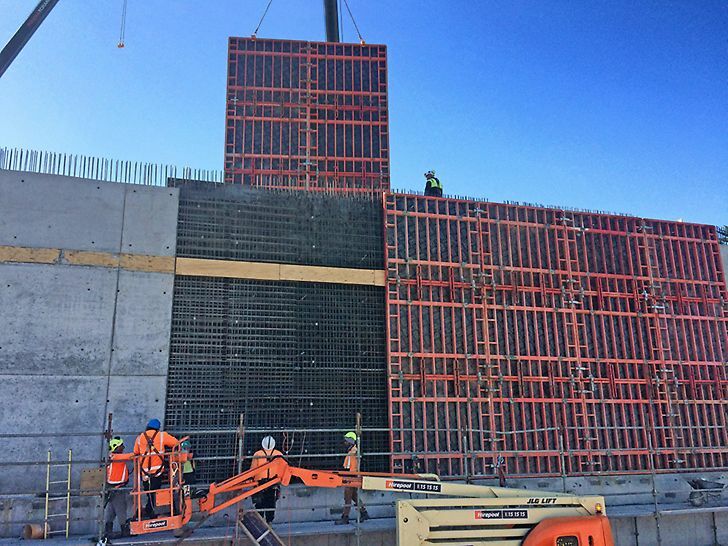 126 PC TR270x240 panels on site. Special detailing required for tapered external walls at corners.